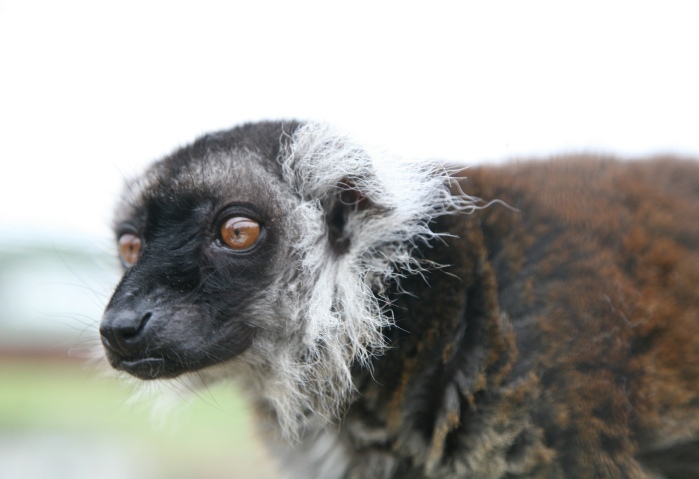 At Wales Ape & Monkey Sanctuary we have three species of Lemur: Black and White Ruffed Lemur, Black Lemur and Mayotte Lemur. Most are arboreal animals with long limbs, long noses and flexible toes and fingers. 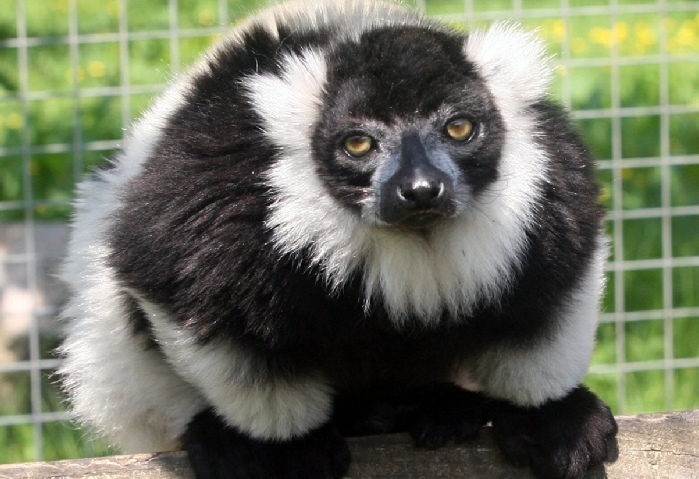 The animals shown here at Wales Ape & Monkey Sanctuary are Rough Lemurs, one of around 50 distinctive types of which 17 are listed as endangered, ten of them critically. Their natural habitat is under threat from human exploitation of the environment. Although most species of Lemur live in the trees of tropical rainforest the Ring-tailed Lemur lives mainly on the ground, and their range extends into dry desert areas. 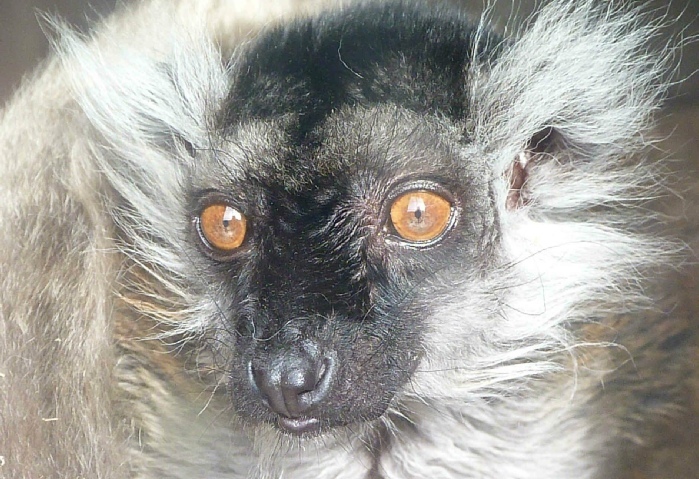 Some lemurs are nocturnal and these tend to live alone, whilst others live in groups and are active by day. Most species are omnivorous but eat more fruit by choice. Lemurs are rather slow moving and docile animals with some of the lowest metabolic rates in the animal kingdom, although they can give a nasty bite if startled or threatened. Some of our rough lemurs clearly enjoy human company. 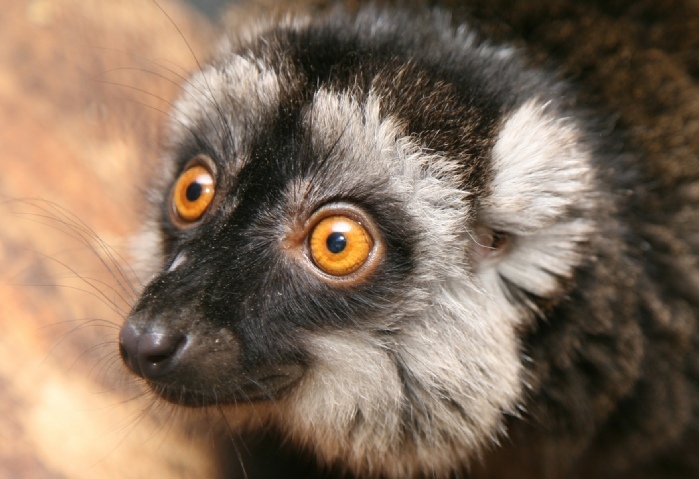 The name Lemur comes from the Lemures or spirits and ghosts of Roman mythology, probably as a result of their nocturnal habits, large reflective eyes and weird vocalisations. Their ancestors are believed to have travelled to Madagascar and the Comoros Islands from Africa, on rafts of vegetation, around 62 to 65 million years ago . Since that time they have been isolated and have evolved uniquely so that they are not found elsewhere in the World. Unlike monkeys and many other animals they do not have claws, they have finger nails. Until humans colonised the islands around 2000 years ago there were giant lemurs weighing 200 kilos (440 lbs), the size of male gorillas. 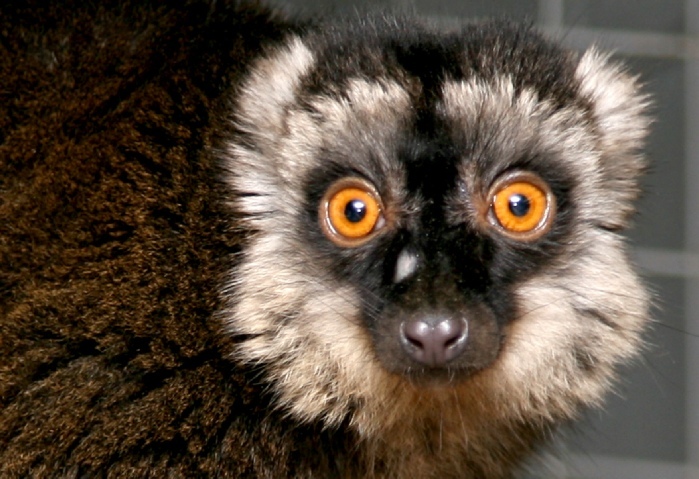 Today the largest lemur species reach around 9 Kilos (20lbs) and the smallest ones weigh only 30 grams (1.1 oz). Until recent times therefore lemurs had some of the largest and smallest examples of any animal species. 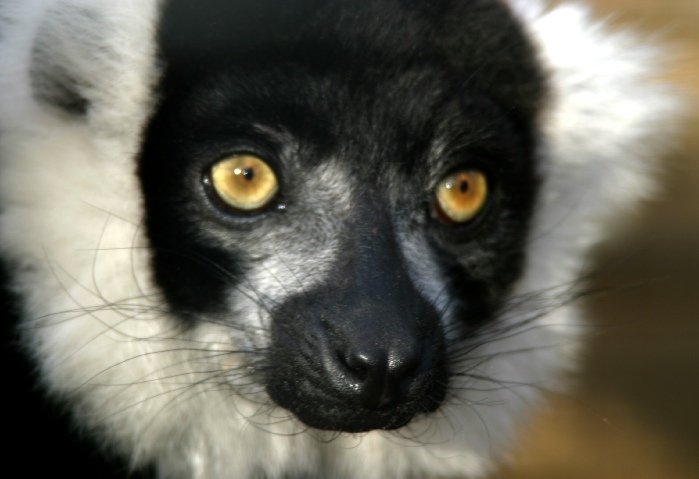 Today all lemur species are threatened by habitat loss and some are highly endangered. Click here to read about Dries, Lisa, Princess Leia and their friends at the Sanctuary.